Classic & Bubbly is two years old today!! Ok, actually she turned two on Friday, but since I am not a prepared blogger + can't seem to get organized I missed it Friday so we are celebrating today! I had to make my way over to my favorite cupcake shop Sprinkles to get my fav. flavor Vanilla! I know most people love Red Velvet but something about the Vanilla just gets me. Over the past two years I have been through so much + have gotten the pleasure to share it on this little piece of the internet. Never in a million years did I think I would have made the friendships, connections, or jump start a career from it. I love blogging, I look at it as my outlet from this crazy life we all seem to be living. The people I have met, my loyal readers, and the new companies I have discovered are all blessings that have come from my nightly write-ups! The dress I am wearing today is from THE SHOP. It is a newer item and I am absolutely obsessed with it! It's feminine, pretty, whimsical, and all in all just perfect! Today only I am offering the dress to all Classic & Bubbly readers for 20% off using the code: 2YEARS It is perfect for any special occasion when you wanna feel just like a princess! Not only did I not realize my face make-up was awful, my hair color was not very pretty either. And what is my facial expressions?! I wish there was a how to of blogging when I first started, I probably would have saved myself some embarrassment!! 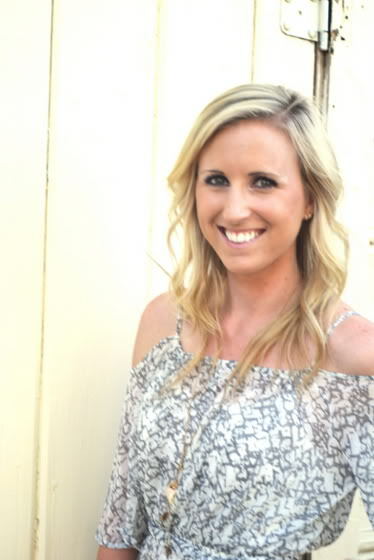 Remember to enter the CORAL ROSE NECKLACE giveaway from the beautiful Nicole at A Dash of Gold HERE, you have two days left to enter!! Happy 2 years Stesha, C&B is around for many, many more. Happy Blog-a-versary! 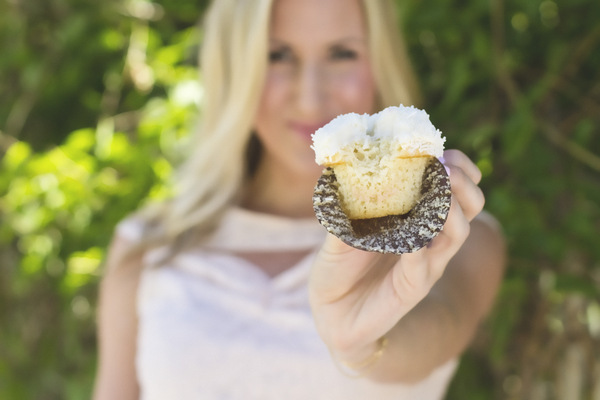 Cute pics with the cupcake...it looks delicous and you look gorgeous! Happy 2 years!! :) Wonderful accomplishment. 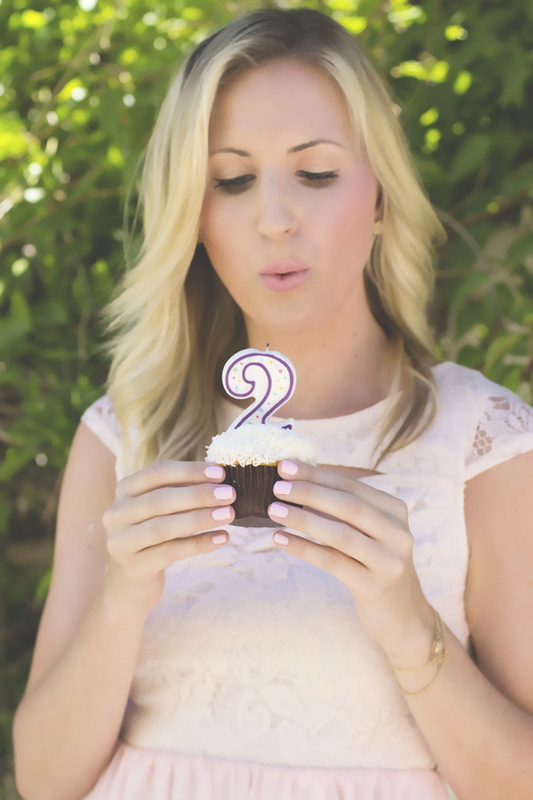 Yay happy 2 years to your bloggy!! Happy 2 years, sweet girl! Oh and now I'm craving a cupcake. Thanks. Haha! 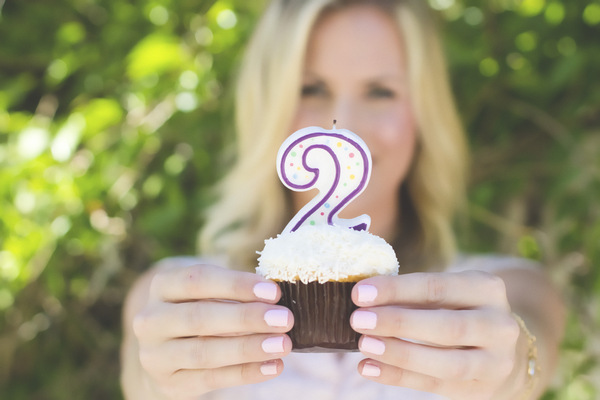 two years of blog awesomeness!! im so glad i found your blog missy and we have had the chance to meet up in real life, wish we lived closer! i love you! beautiful dress and you've come so far! Happy 2 years! Cheers to many more years! It's amazing what a couple of years can do to a blog. I'm looking forward to seeing that with my own. Congrats on two years and here's to many more! So happy that we both joined blog land and that we have become such great friends!! And you were adorable even two years ago!! :) Happy TWO years!! 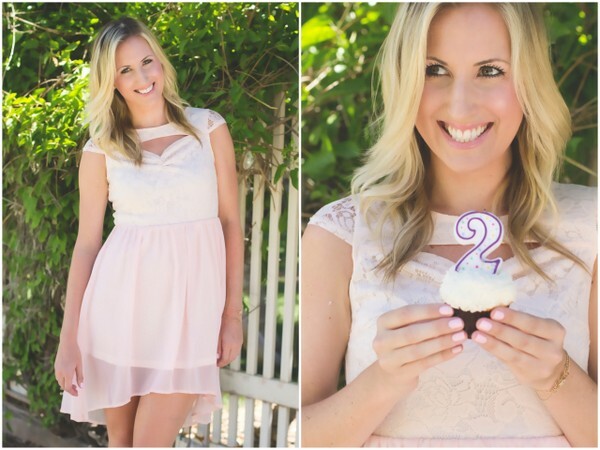 Ahhhh Happy two years to you and your wonderful blog Stesha :) these pictures are so beautiful (like usual!) Congrats on all your achievements + I can't wait to keep reading!